He stumbled out of the wreckage. All I could smell was smoke and burning oil and one of his arms was lying in the grass. No pain in his eyes and little blood. He just looked at me and said, "Call for help, I'm Lid Emba." Lid Emba is Sean Moore. The structures are obsessively detailed, not ramshackled indeterminate. Call them organic impossibles. 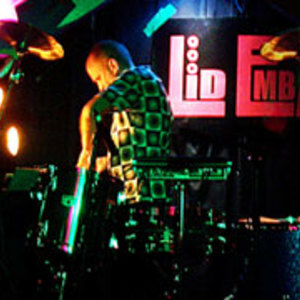 Lid Emba is Sean Moore. The structures are obsessively detailed, not ramshackled indeterminate. Call them organic impossibles.